For 90 years in a row, TIME Magazine has named a “Person of the Year” to the person ( or people ) who has has had the most influence over the news in the last 12 months. That definition means that the award has been bestowed upon a wide-ranging field, from Mahatma Gandhi to Adolf Hitler and Joseph Stalin (twice). This year, the list of potential candidates covers an equally broad set of candidates, from tech moguls like Elon Musk and Mark Zuckerberg to world leaders like Vladimir Putin and Bashar al-Assad, to unique figures like Colin Kaepernick, and Robert Mueller. And with three dozen potential candidates for this distinction, predicting the winner is always a challenge. But how to determine which of these important candidates best matches TIME’s definition of the Person of the Year? Researchers at Unanimous AI turned to their Swarm AI platform to generate insights. is Swarm AI technology made headlines in 2016 when it correctly predicted Donald Trump would be TIME’s Person of the Year, despite Narendra Modi being the heavy odds-on favorite at the time. This year, Unanimous had published an even more controversial pick – the #metoo campaign started by the UCLU to expose sexual misconduct in the workplace. Of course, not everyone was expecting #metoo. In fact, TIME MAGAZINE itself ran a massive reader poll of the public at large, which predicted Mohammed bin Salman, the Crown Prince of Saudi Arabia is the strong favorite, having captured more than four times the votes of the next nearest candidate. But swarms are not polls, and have demonstrated time and time again, generate much deeper insights. That’s because swarms converge on the answer groups can best agree upon, rather than the surface popularity in a population. So, did we put our money where our mouth is? Anyone who follows this blog knows we always register wagers as a way to demonstrate that we can defy the odds using Swarm AI technology. You can see that week after week in our predictions of football, hockey, and soccer. And in this case… we placed a small wager on #metoo when the potential returns were 300%. And , as you can see below… we won! (It’s also worth mentioning that according to TIME, Trump was the runner up, a fact that the Swarm AI system also correctly predicted). 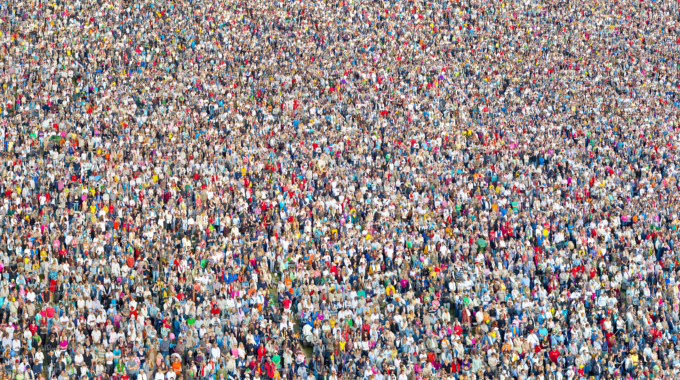 What is possibly most remarkable out Swarm AI is that with a randomly selected population of only 60 people, the system converged on a prediction that was significantly more accurate than the large-scale poll run by TIME MAGAZINE, involving tens of thousands of voters. Simply put, swarms outperform polls. You can read an academic paper from researchers at Unanimous and Oxford here, discussing the reasons for this amplification of intelligence. What’s also powerful about swarms is that the process is very fast, allowing us to run multiple swarms over a period of weeks to track how the intelligence is converging over time. Weeks ago, in early research, results indicated Vladimir Putin was the top contender for Time’s POY, but as world events shifted and public wisdom solidified, the Swarm AI® platform shifted – moving #metoo from the third most likely pick, to the most likely pick, by a wide margin. Every week Unanimous A. I. brings together swarms of regular people just like you to help us predict sporting events, investment opportunities, and technology as well as provide insight into everything from pop culture to politics. If you’d like information on joining a swarm – or just want to stay up to date on the latest predictions – click the button below.